Meet Lori McNee. Lori’s luminous work reflects her state of mind. A moment with an injured hummingbird during her Arizona childhood left an indelible mark on her style. 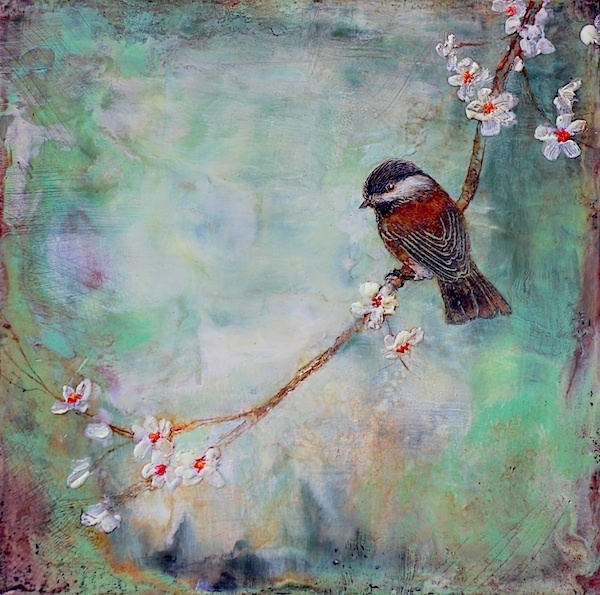 She wishes to convey a sense of serenity in her paintings - often expressed through birds. Her studio reflects this inviting mood. And while she works in a variety of different disciplines, Lori makes sure to have a common thread that ties her pieces together. We spoke with Lori about the importance of starting out with a signature style and why staying attached to your art can prevent it from finding a good home. Want to see more of Lori’s work? Visit FineArtTips.com and LoriMcNee.com. Want to Paint and Learn Social Media in France? Join Lori this September! Learn More Here. 1. 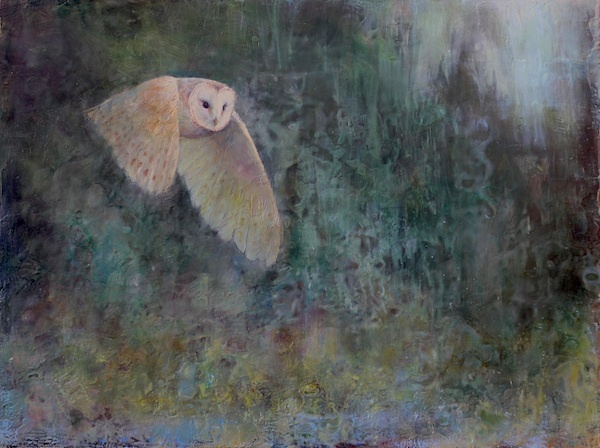 YOUR ART FEATURES LUMINOUS, SERENE RENDERINGS OF BIRDS AND LANDSCAPES. WHERE DO YOU FIND INSPIRATION AND WHY DO YOU PAINT THIS WAY? Thanks, that’s what I’m driving to convey in my work. I want to convey a serene environment. As far as my inspiration, I’m drawn to painting light - whether in still life or landscape. Light is very important. I want my work to glow from within and be a window into the imagination. In a world filled with chaos, I want my paintings to be a rest for the viewer. I see my paintings as a quiet place from the negative images on the news. There are lots of other genres that want to disturb viewers or resonate a not so positive emotion. I want viewers to have positive feelings from my work. "I would like to paint the way a bird sings." - One of Lori’s favorite quotes by Monet. Whether I paint still life or landscape, I’m inspired by the Dutch masters. Still life echoes the delicate balance between nature and man. 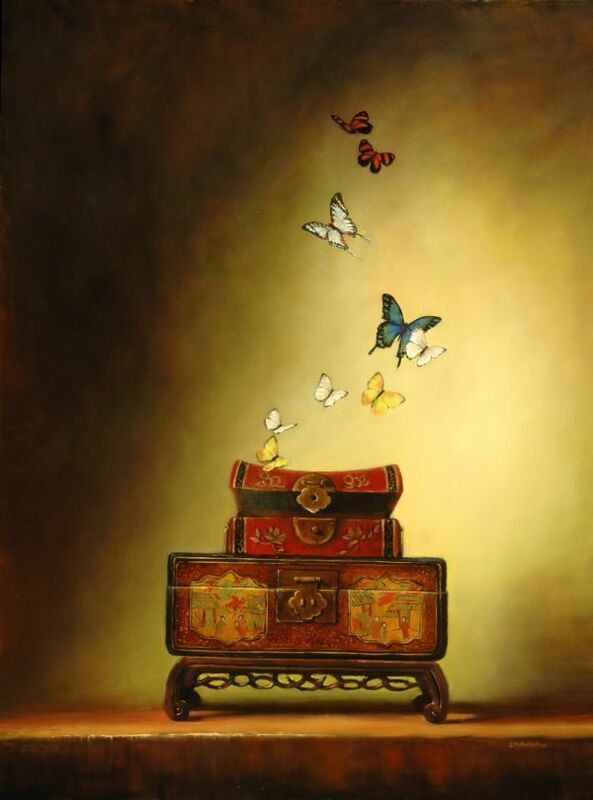 Many of my still lifes include birds or butterflies. I’ve always loved birds. I lived in Scottsdale, Arizona for 12 years in an area that used to be an orange grove. They would flood the lawn once a week to irrigate it. When the water receded, all these gorgeous birds would flock to the yard: cardinals, hummingbirds, and sparrows of every color. When I was a little girl, I would nurse birds back to health when they were injured. I would take some to an old woman we called the “Bird Lady.” She had a rehabilitation space in her home and she would help injured birds get back into the wild. Once I saw a little hummingbird resting on some flowers at her house. It had a broken wing. That left an indelible memory in my brain. When I went back to Arizona years later, I remembered the hummingbird and it all came together as to why I paint like this. The man-made objects in my still lifes stand for the human aspect and the animals are nature. I loved living in Arizona. I’m very interested in ancient cultures and I grew up around the Native American culture. It is a huge influence. I loved going to ruins and looking for pottery shards as a young girl. And I’ve always loved being around nature. 2. YOU WORK IN A VARIETY OF DIFFERENT MEDIUMS AND SUBJECTS. HOW DO YOU DECIDE ON THE DIRECTION OF EACH PAINTING (IE. ENCAUSTIC VS. OIL)? I do have lots of interests. As a novice painter, it was hard for me to decide what I was going to paint, why, and how. It’s important for artists to develop a recognizable, signature style - especially when starting out - so people can recognize your work. It’s fine to branch out once you’re more established. I had a big show last month and displayed all my disciplines together. I had a similar thread running through all the works though. They were all framed the same, had a similar color palette, and similar subject matter. This pulled the body of different mediums together into a cohesive body of work. 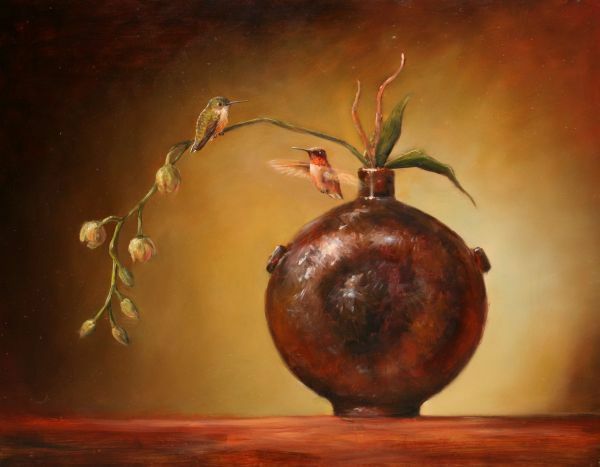 I can be inspired by a certain vase, vessel, or interesting item for my still life paintings. That helps me determine what to paint. For instance, a black and white chickadee might inspire the direction of a painting. I’m inspired by colors, patterns, or moods. 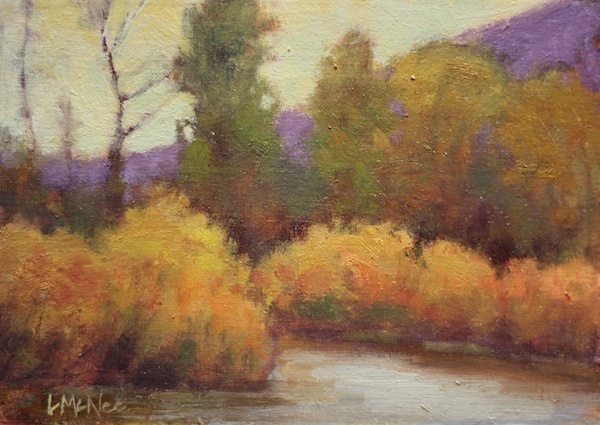 With landscapes, I’m especially inspired by the mood I want to portray. I draw lots of inspiration from the mountains where I live in Idaho. I like to get out in nature, it provides endless inspiration. On a basic level it comes down to supply and demand. Every now and then, a gallery runs out of a type of painting and request certain kinds. I do fall prey to supply and demand. I love encaustic painting because it’s very freeing, and I have lots of fun. Wax has a mind of its own. I lose more control and I enjoy that about the encaustic medium. Oil lets me control things more. It’s metaphorical of where I’m at in life. I need to try to let go and stop controlling things. I’m enjoying the medium that reflects my state of mind. I add cold wax to the oils and it creates such a cool texture that, up until recently, I was unable to achieve. In the past I liked beautiful, transparent glazes. They made my work look like stained glass in person. As my life becomes more textural, so does my work. I believe my work is a reflection of what’s going on in my life. I generally do a few things that get me in the mood to paint and get my creative juices flowing. I love the sound of flowing water. I plug in my sound machine and get it trickling. I also like to have a big green tea. I listen to classical music and NPR. Classical music is scientifically proven to make people more intelligent. I like to have intelligent background noise, it makes me want to paint. Sometimes I jump on and do a little bit of tweeting or answer blog comments, and then get back to painting. I recently redecorated my studio. I have plywood floors, and they were getting dull. I painted them sky blue. It’s amazing spending a day or weekend to clean up and organize. Now my studio is very cheery and inviting. I have a big studio tour coming up so I’m really glad I’ve done it. Sometimes I burn incense, especially in the winter. I leave the french doors open in the summer. I have beautiful gardens and bird feeders outside - I take lots of photos of the birds. 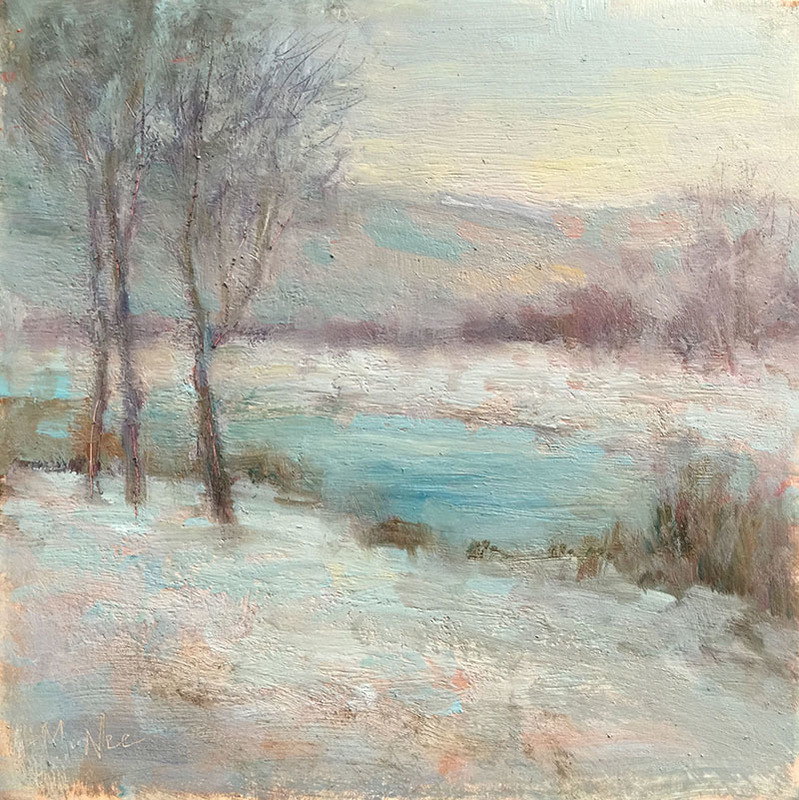 It’s snowy in the winter and it can be stifling in a closed up studio. I burn essential oils - like jasmine and orange - for whatever mood I’m in. It brings nature inside for me. 4. WHAT IS YOUR FAVORITE WORK AND WHY? I try not to get too attached to individual pieces. I love painting, I love the process, each brush stroke and the colors. When I’m finished with a painting, I want to energetically let go because I want it to find a good home. I want my work out there in the world. And I want to paint more. If there’s too much work in my house, then I know I won’t want to continue. I have my pivotal paintings in my house. These are ones where something new happened. I have a still life that was a pivotal piece that I decided to keep. It’s a painting that helped me achieve something in life. I still look back and draw motivation from it. I see it and know I can do this. I have a couple encaustic paintings, landscapes, and still lifes. There is no one painting that is my very favorite. There are a couple of stand outs, and they have found good homes. 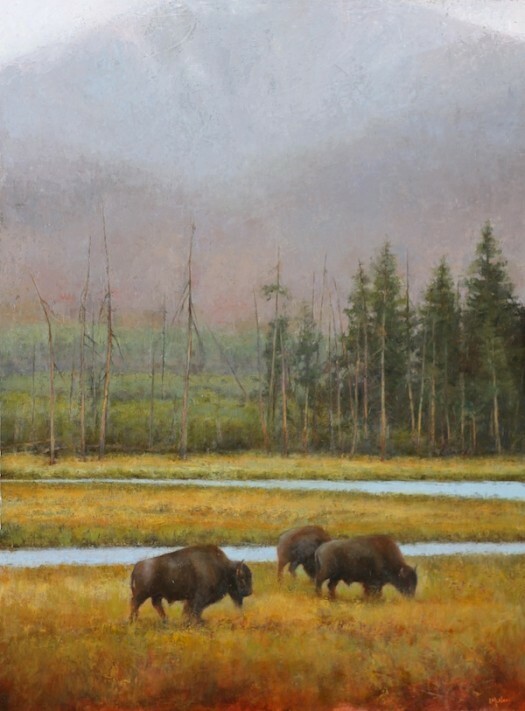 Want to see Lori’s work in person? Visit her gallery page here. 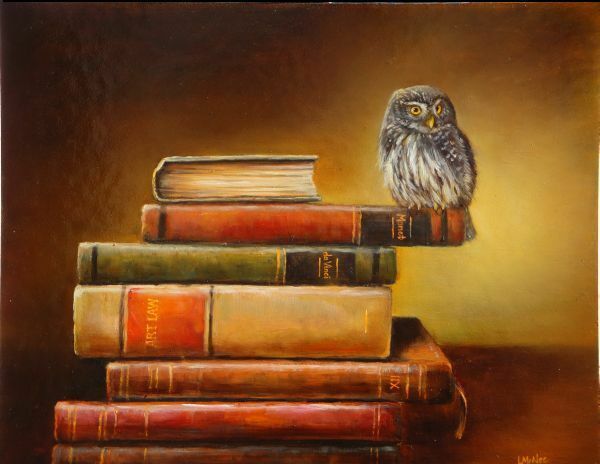 Lori McNee is also a business of art expert, #TwitterPowerhouse, and social media influencer. 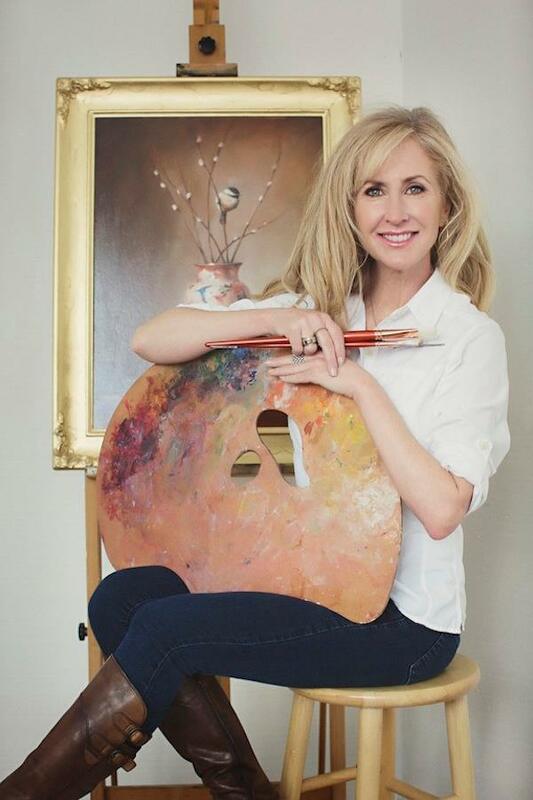 Read about some of Lori McNee’s business of art advice and social media tips. 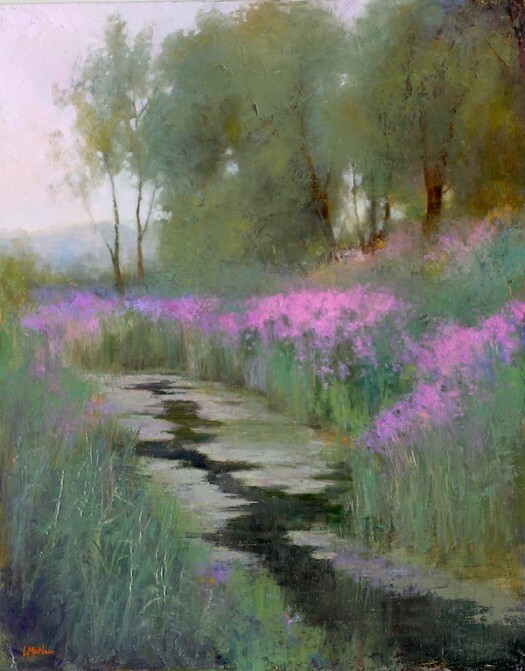 Award-winning Plein Air painter Lori Putnam recently switched to Artwork Archive to manage her art career and organize her business. Here's why she loves it.